Floyd Mayweather Throws His Son (Zion Mayweather) A 16th Birthday Bash !! Congratulations Zion ! A 16th Birthday Bash !! Congratulations Zion ! 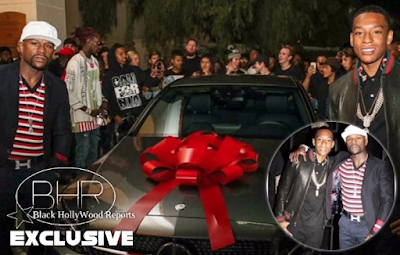 BHR Hollywood Reports...........Floyd Mayweather channeled his inner-Bob Barker for his son's 16th birthday party ... 'cause he gave away A BRAND NEW CAR!!!!! Zion Mayweather celebrated his 16th birthday in grand fashion last weekend. The party was profiled on father and son's social media accounts. While the elder Mayweather wished his son a happy birthday with a single Instagram post, his son detailed the extravagance on Instagram with a play-by-play photo gallery. "Today is a holiday in our home," Floyd Mayweather wrote on Instagram. "When it's a Mayweather's birthday, it's a holiday! Everyone follow and wish my son @zion_mayweather A VERY HAPPY BIRTHDAY!" 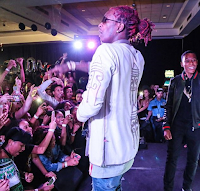 The party featured a performance from Young Thug and included many members of The Money Team in attendance. One of Zion's Instagram posts featured his biggest gift: a Mercedes C-class coupe, the same model of car given to Mayweather's other son, Koraun, for his 16th birthday. The luxury automobile sells for more than $42,000. The party also featured a photo booth, a money machine, pool tables and bottle service.